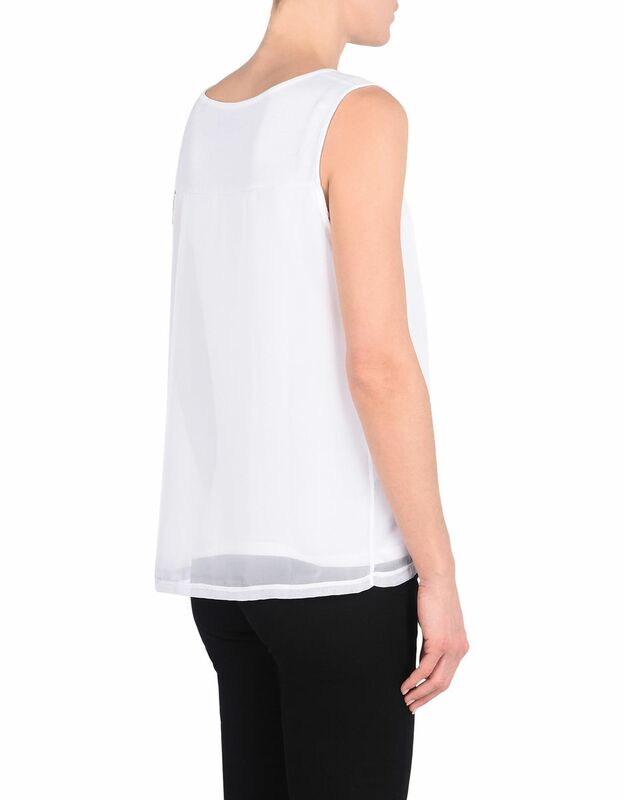 With a sleek, polished design, this women's top is made of light jersey and finished with a fine layer of organza. 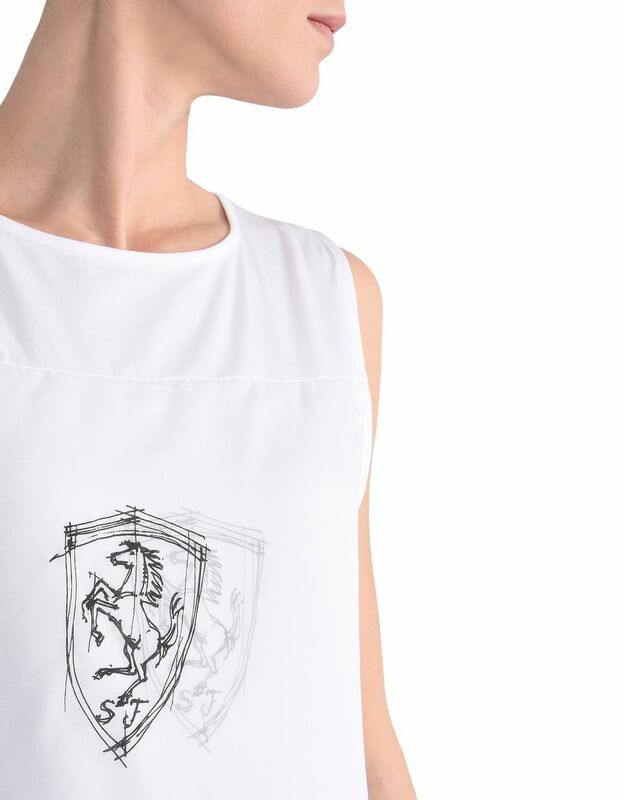 The women's sleeveless top with a comfortable fit features alternating fabrics, which create a sophisticated and original effect. 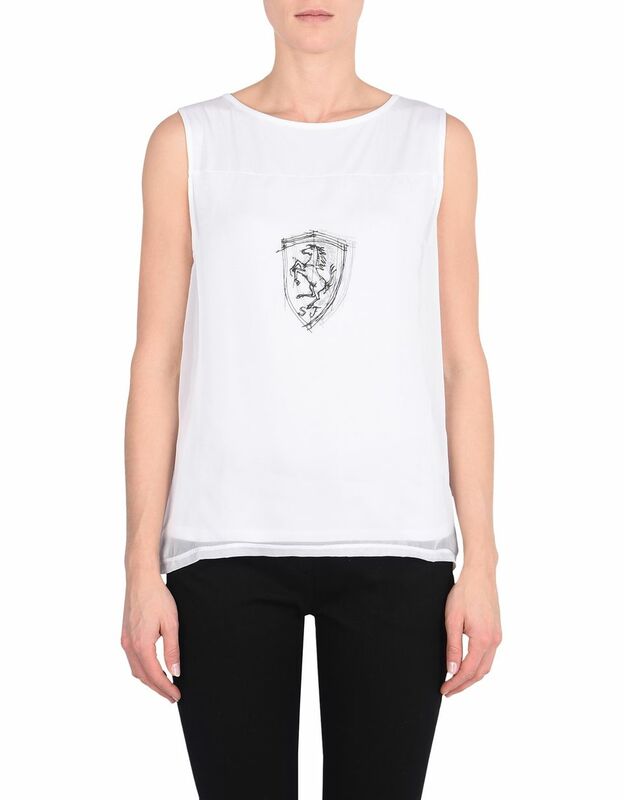 The light cotton jersey, cool and pleasant to the touch, is embellished with a fine layer of organza along the sides. 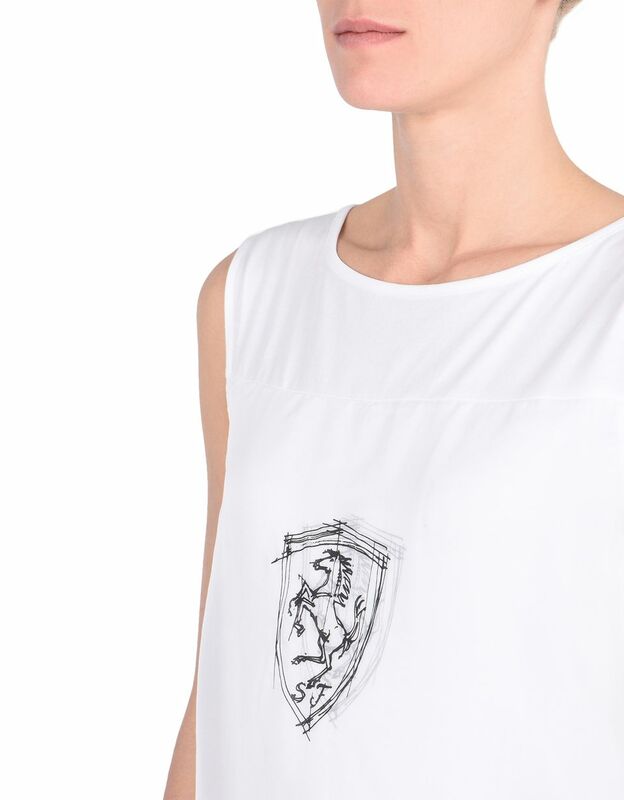 The wide boat neck accentuates the figure. 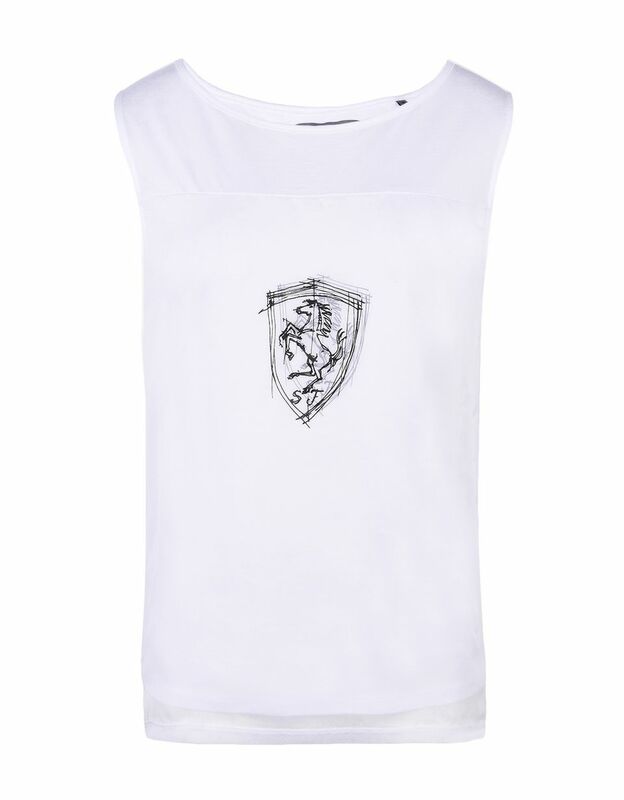 What sets this women's top apart is the Shield printed on the front, on both the inner and outer layers.